In March, Teens in the Driver Seat presented the results from a survey of teen drivers in Conyers, GA. The study, conducted by the Texas Transportation Institute surveyed Rockdale High School students to find out how aware they are of teen driving dangers, and how often they engage in risky driving behavior. In Georgia, more than 50,000 teen drivers become involved in traffic crashes every year. The sad reality is, as much as the rates are dropping yearly in Georgia and all over the nation, there's still much to be done when it comes to raising awareness. When it comes to nighttime driving, only 3% of the teens surveyed were aware of the dangers, while 25% say they often drive late at night. 75% were aware of the dangers of talking on the phone while driving, and yet 1 in 5 of them still do it. Only 9% recognize the dangers of driving without their seat belts on. Over half say they have ridden in the passenger's seat without buckling up. Fewer than 20% of the teens surveyed could name more than 3 of the top 5 dangers involved with teen drivers. 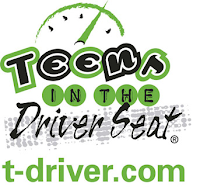 Teens in the Driver Seat (TDS) is a program that is fully focused in increasing awareness of the top 5 dangers involved with teen drivers. Cell phone use by teen drivers in TDS program schools have been shown to decrease by at least 30 percent, while seat belt use has increased by 10 percent. 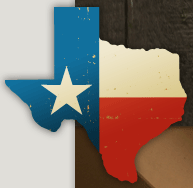 In Texas, teen crash deaths are down 32 percent and the number of teenage drivers involved in fatal crashes has dropped 33 percent since the TDS program began. By releasing the results of the survey, no matter how surprising or how bleak it is, not only increases awareness in teen driving safety, but also gives traffic authorities something to think about --- like how better to drive the message to teen drivers.